An interview with Belinda Cornish. That’s the first line of the play, placidly spoken by a husband to his wife as he prepares to leave for work. What then ensues is a swiftly unfolding marital power struggle, simmering beneath a veneer of banal domesticity. 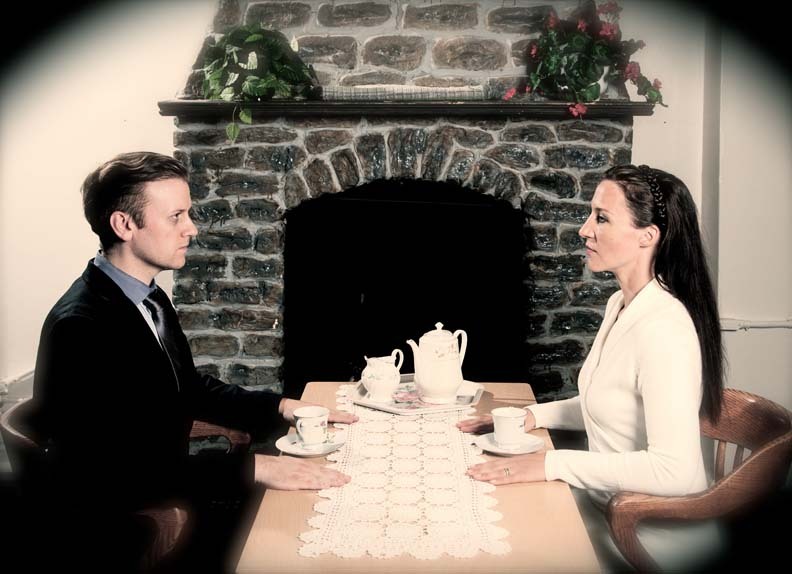 Your play, The Lover, has the same team as your 2014 Fringe show The Deep Blue Sea. What is it about the chemistry between your team members – Nancy McAlear, Mat Busby, and Belinda Cornish – that made you want to reconvene for The Lover this year? We brought the same team back together as for last year’s The Deep Blue Sea because it worked so well the last time! We are very comfortable together, we have good chemistry and good communication shorthand, which is incredibly important when you’re working at the kind of crazy speed necessary to put a fringe show together, particularly one as complex as this one! I’ve read that The Lover can be performed as either an ironic comedy or a drama – which way have you decided to go with this production and why? We’ve chosen to perform it as truthfully as possible. I know – that sounds like we’ve climbed into our own asses. But the ironic comedy is there in the script – you don’t have push it for it to come across. Pinter was a bloody genius, and he built a brilliant little play which peeks through the keyhole to these characters’ lives. It’s dark and funny and discomfiting and weird, and observing a married couple’s bizarre private rituals, performed for each other as though no one is watching, is actually much funnier than if we were to try to make it funny. Each of your shows features cameos from a special guest star, including Mark Meer, Garett Ross, Stephanie Wolfe, Andrew MacDonald Smith, and more. How are your cameos by guest stars integrated into The Lover and how does that choice work into the rehearsal process? Ah! The cameos! I can’t really tell you what they are – it would spoil the surprise. We just thought it would be a fun way to make a particular part of the play work for us, and let us involve more fabulous actor friends! We’re rehearsing as many people in as we can – the others will just show up on the day of their performance, put on a hat, and we’ll wing it! Yes, wing it. Sounds simple. I’m now terrified. But we are lucky to have a slate of super guest stars – each one will bring something different, and it’ll be exciting. This play is a perfect little flawed diamond. It is superb fringe fare – for a start, it’s only about 45 minutes long. But it’s a packed 45 minutes – from the moment it begins, the characters are locked in a quietly escalating battle that rages below the deceptively calm surface.